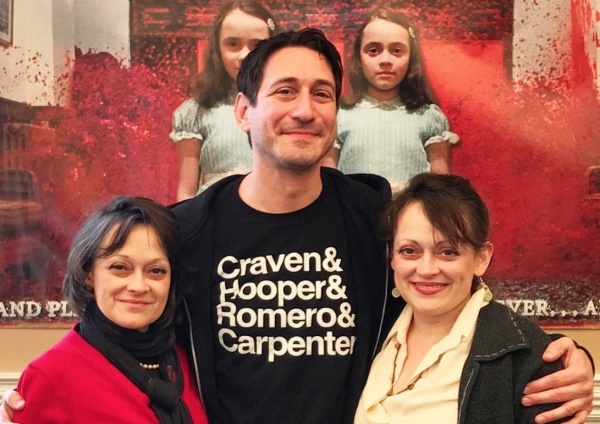 Dave Neabore with Lisa and Louise Burns, the twin sisters from The Shining. You might know him from his bass work in both Dog Eat Dog and Mucky Pup, but what you might not know is that Dave Neabore is also a massive horror geek. Whether he's out on tour throughout Europe with Dog Eat Dog (where the band is very huge in many countries), or back home in the States, the New Jersey native is always on the hunt for soundtracks to his favorite horror, sci-fi, and action flicks. It's with great pleasure that I welcome Dave to the Record Collector series. How long have you been collecting soundtrack records? I started collecting horror soundtracks when I was around 12-years-old, so around 35 years ago. I would read Fangoria magazine back then and they used to run ads for Varese Sarabande LPs. I clipped out the ad, sent a check, and soon received my Dawn of the Dead vinyl soundtrack by Goblin. After that I was hooked. I discovered the soundtrack section at both Tower Records locations in NYC, and then Footlight Records which specialized in that stuff. The albums were easy to get and cheap back then, now it's a whole different story. Since you’re a touring musician, do you spend a lot of time hunting down records when you aren’t at venues? It's hard to care for records on the road. The stuff I like is valuable to me and a rock and roll tour isn't the safest environment. So, when I'm out of the country, I usually hunt for CD soundtracks which are easier to travel with. I'll Google search every record store and used DVD shop in whatever city I'm in that day and try to hit at least a few of them before the show. It's also a great way to see the city and you never know what you may find along the way. Where/how else do you usually find your records? If I'm not buying in a store, I'll buy online from Discogs, eBay, and Amazon. Actually, I'm pretty against spending too much on a record just out of principle. In the last couple of years I spent up to $60 on a few items that I really wanted, but that's as high as I will go. A few that come to mind are Wolfen, Bubba Ho-Tep, Terrorvision, and From Beyond all cost over $50. You're not likely going to find this stuff in a store, so eBay is your best bet when collecting hard to find soundtracks, but expect high prices. My most prized soundtracks are the old Varese records from the early '80s. Creepshow, Phantasm, Maniac, The Burning, Halloween 2, Dawn of the Dead, Swamp Thing, Videodrome, The Howling, and Piranha are at the top of my prized records. These were the albums that really made me love and appreciate film music and even influence my own musical career. 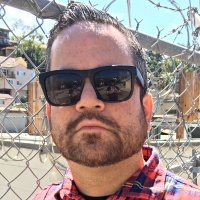 Who is another horror soundtrack collector we should all look out for on Instagram? Well like everyone else who is a serious collector, people who buy and flip records thus driving prices up, really annoy me. It makes it harder to preorder and takes the joy out of owning a great album at a fair price. I really like most of the high quality reissues coming out lately but I'll always treasure the original pressings because that's what I grew up with. Back in the 80s it was so easy to buy the original pressings that I thought they would always be there, and once CDs became widely available I stupidly chose that format over vinyl, so I missed out on a few. For instance I don't have the original Halloween or The Fog releases on vinyl and now they are hitting $100 or over. That's kind of a good thing though. Im always searching and sometimes it's the thrill of the hunt and that incredible feeling of finding treasure that keeps true record collectors going. Follow Dave on his personal Instagram page, and Dog Eat Dog's Facebook page can be found here.